At Woodinville Sports Cars, we don’t just work with BMWs, we work with people. Our professional, friendly staff works hard to make sure you leave our shop satisfied. Pay attention to the dashboard warning lights! A timely fix now can save you from a roadside breakdown later. You can trust Woodinville Sports Cars to keep your BMW running at the level you expect. Our team includes a Factory-Certified Master Technician with more than 10 years of experience working with BMWs. We are trained with the latest tools and computers to help diagnose and fix the newest BMWs out there, as well as those that have been around the block. 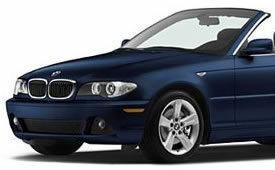 Woodinville Sport Cars is the best place for BMW service or repair in Kirkland, Snohomish, Woodinville, and Bothell. If your BMW is in need of extra care, contact us today to set an appointment so we can help you keep your BMW driving smoothly.